On the 18th of august, after a five hour drive and two hour wait in the border, we finally arrived in Kosovo. After an exciting night and an interesting cultural tour of Pristina, we set off to our new home for two weeks in Gracanica. In Gracanica we met the Gaia team, who work closely with the Roma community and also focus on living sustainably. 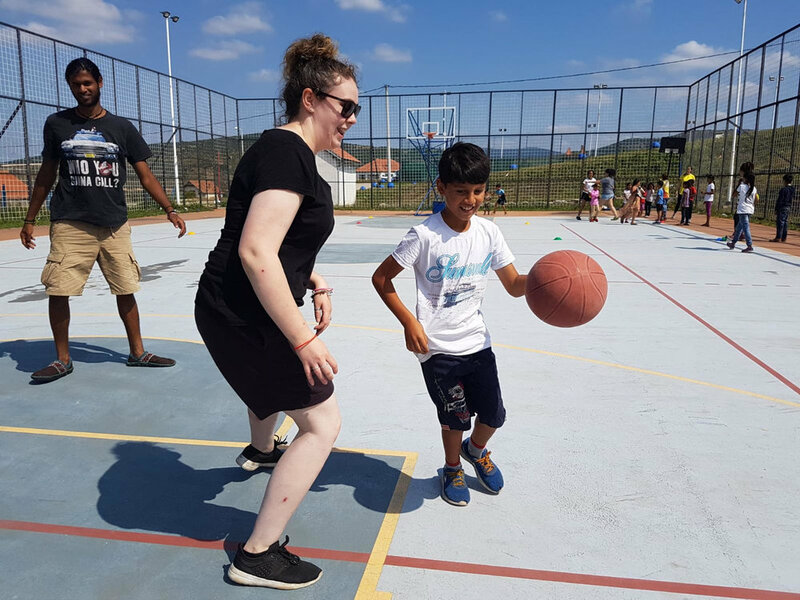 On the first day we found out that we would be living with other international people who were volunteering in a work camp organised by Gaia. Our daily schedule in Kosovo was very different from the one we had in Novi Sad, Serbia. The team felt that the morning rituals were more relaxing and flexible which resulted in fresh start of the day. Every day we had two people from the World at Play team and the work camp cooking amazing food and loads of coffee for everyone. In the morning everyone woke up to the sound of roosters and the excited screams from the children at the gate. Every step we took to our morning sessions increased the number of children following! Before starting the every volunteer would be given a new hairstyle, give a piggyback, and receive many smiles and warm hugs. 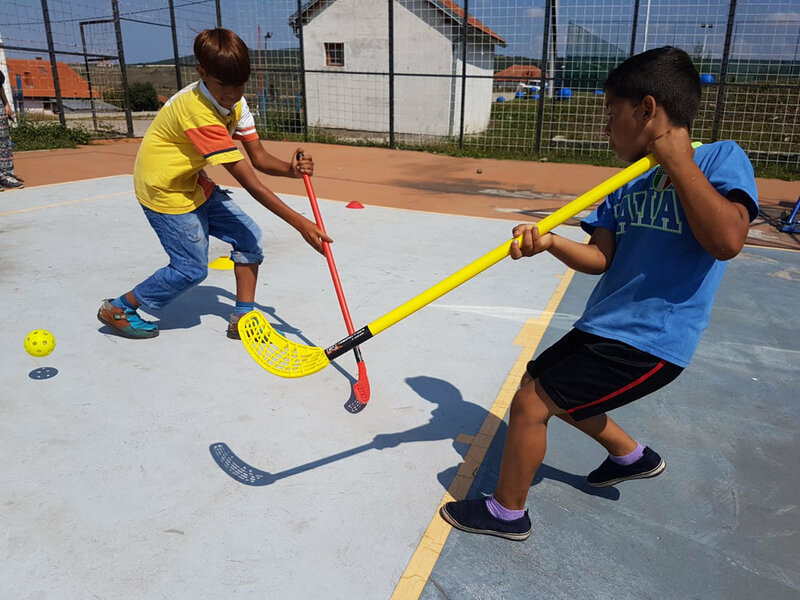 After two hours of highly competitive and energetic games, led by the WAP team and supported by the work camp, the way back was a horse race between teams of volunteers and children. After the session, the cooking team would welcome us with a warm, traditional and delicious lunch. In the afternoon, we went to another organisation called The Ideas Partnership. Here, we worked with Roma Ashkale children. 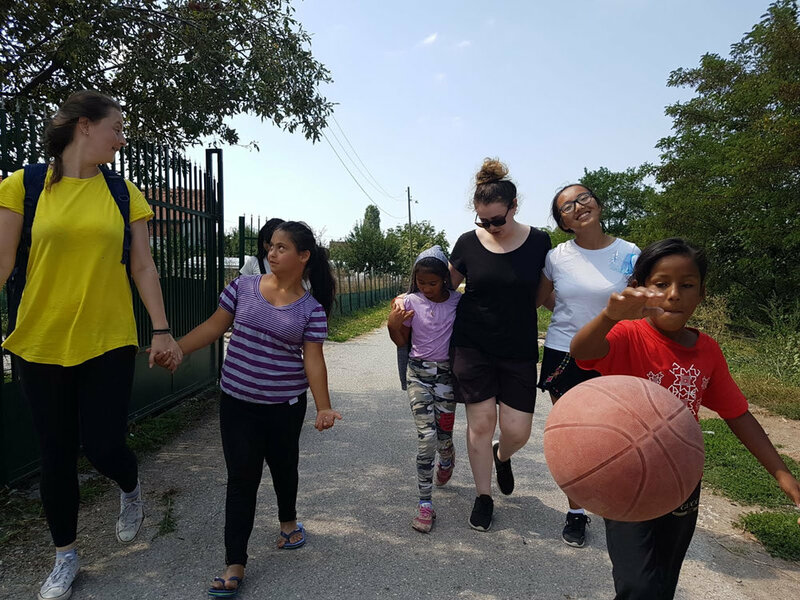 During our sessions in Ideas Partnership, we were supported by people from the work camp and Gaia, who were very eager to learn about the Roma Ashkale community. Everyday we took two to three children from Mahala in our van to the Ideas partnership, which was already an adventure for them, since they rarely travel. The team found that bringing these children to the Ideas partnership, was a very fruitful experience, because they had the chance to meet and mix with different children and old friends. 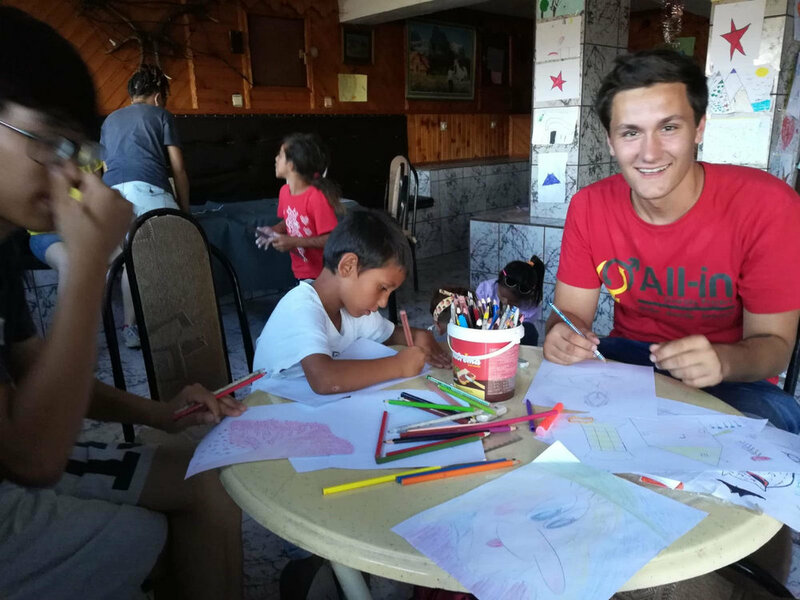 Coming back from the afternoon session, the team joined the art and craft session in the Imaginatorium organized by the work camp. The Imaginatorium, called scholla by the children, is a big room used for different workshops, such as sewing, drawing, English lessons, origami, making dream catchers and more. The Imaginatorium allowed every volunteer to show something from their own culture, exposing the children to cultural differences. During our time in Kosovo, we attended two national events; Eid and Slava. During Eid (national holiday for Muslims) we were invited by a Roma family to their house and were supplied with sweets, drinks and conversations. By the time we finished our sweets half of the team’s hair was braided and the other half was playing puppets for the little girls. For the second national holiday, we went to the local monastery with some of the children and the whole volunteering team. The monastery was crowded with local people who came to see traditional dancing, then after we went for nice drink in the pub. The team felt that the two weeks at Gaia and that the cooperation between the two teams was very good. We bonded really quickly, and enjoyed many fun activities together, such as bonfires, karaoke nights and historical tours. During our stay with Gaia, we learned not only about the Roma community, but also about sustainable living. We will miss you so much and we are sure to be able to proceed with all the good you’re doing.